Normally, we use this space to blog about what’s happening in the title insurance industry or in the real estate world. This week, we’re going to deviate from that practice. 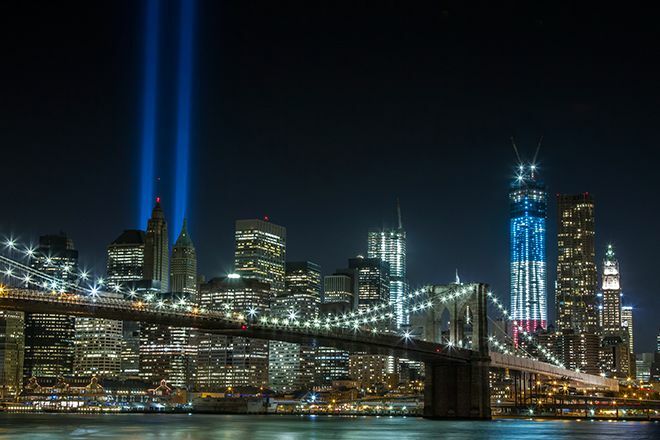 You are no doubt aware that Patriot Day is here, which is the National Day of Service and Remembrance that occurs each year on September 11 in memory of the almost 3,000 people killed in the September 11, 2001 attacks. We at First International Title want to make sure that we never forget what happened on that horrible day 14 years ago. Let’s always take time to remember the fathers, mothers, husbands, wives, and children who left this world in such sudden fashion. The flag of the United States is flown at half-staff at the White House and on all U.S. government buildings and establishments throughout the world on 9/11. If you have a flag, we encourage you to display it on or at your home. Additionally, we encourage you to participate in the moment of silence that is observed to correspond with the attacks, beginning at 8:46 a.m. EDT, the time the first plane, American Airlines Flight 11, struck the North Tower of the World Trade Center. It’s been said that time heals all wounds. While that may be true, we still should never forget this day in U.S. history.